Gorilla tracking permits go up with 2 new gorilla groups. Gorilla tracking is one of the most attractive and most sought after tourist activities on a Uganda safari/tour. Uganda Wildlife Authority (UWA) is in the process of increasing tourists that visit the park for gorilla tracking, in this effect two more mountain gorilla families/groups at Rushaga, Kisoro, the Southern part of Bwindi Impenetrable National Park have been habituated, bringing the total to 14 groups/families in Bwindi Impenetrable National Park. All of the habituated gorillas are known individually by the rangers and have been given names in order to identify them. The males can weigh more than 500lb and some silverbacks exceed 6ft! During Gorilla tracking, only a group of 8 people are allowed to track one gorilla family/group per day, and now that there are 14 groups/families, it means the maximum number of tourists to track gorillas has increased to 112 per day, this is literally good news to the industry, Uganda now has a total 112 gorilla tracking permits on sale per day. According to UWA publicist Jossy Muhangi, habituation enables gorillas to get used to human presence without changing their wild character. 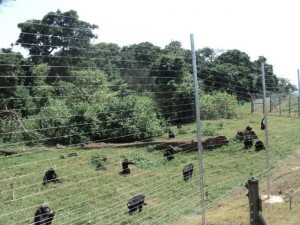 The new gorilla families groups are Bukingi and Bushabo, they have been under habituation for the last two years. The two gorilla families/groups are ready for tourism, Muhangi said. He noted that there have been tourists who have already tracked these new groups in the recent weeks, they were accompanied by the team that has been habituating them but the gorillas did not charge at them. Gorilla tracking is a very interesting yet tasking exercise which requires one to walk through the thick forest in search of the gorillas, the exercise takes from 2 – 9 hours depending the movements of the gorillas, and then visitors are given a chance to stay with the gorillas just a few feet away, the one hour observation is out of this world, very thrilling and heart melting, watching these rare human like gorillas in their natural wild going about their daily activities, like feeding, caring for their loved ones, babies playing and swinging from tree to tree, you get swept away in amazement, how they conduct their lives just as humans. Gorilla are second closest to humans after chimpanzees, they have an intelligence equivalent to that of a five year old child. 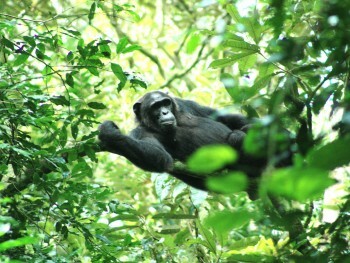 The two-decade-long gorilla tourism contributes 60% of UWAs total revenue, according to Muhangi. He also said some of the gorilla revenue is used by UWA to support other parks whose revenues fall short. Bwindi Impenetrable National Park is a UNESCO-designated World Heritage site. The 331-square-kilometer park also provides a rich diversity in one of Africa’s richest and most dense montane and lowland forest. The park prides of over 400 individuals of mountain gorillas estimated to be half of the world’s population. The park is homes to other wildlife that include; 11 primate species that include black-and-white colobus and L’Hoest’s monkeys, baboons and chimps. 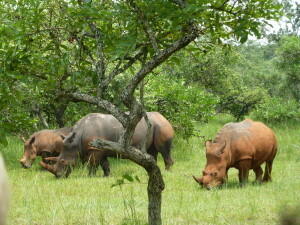 There are also forest elephants and several species of antelopes, over 220 butterfly species, 42 are endemic to the Albertine Rift and 348 species of birds including 23 bird species restricted to the Albertine Rift too. Birding watching; along the main trail, the Buhoma Waterfall Trail and along the bamboo zone and Mubwindi Swamp trail in Ruhija. Nature & Hiking guided walks; Different trails include; Muyanga 33 meter Waterfall Walk, Rushura Hill Walk, Muzubijiro Loop 6km walk around a hill, where you will encounter primates and birds and enjoy a view of the Virungas, The 14km Ivi River Walk, The Buhoma-Nkuringo Trail, The 4-6 hours Habinyanja (Railegh) TrailthorughMunyaga River, Habigorogoro and Riyovi Ridge overlooking Buhoma River, “African Corner” named after a rock piece depicting a map of Africa. Following the steep ascent, keen hikers can enkoy a more relaxed gentle slope to the mighty Habinyanja swamp. Birders on this trail should watch out for the Pel’s Fishing Owl, African Black Duck and Black Bee Eaters, among others. Cycling/Mountain Biking: through well-maintained 13km trail via Ivi River. You may bushbucks, black-and-white colobus and red-tailed monkeys.